Fusion Gig Bags - stocked by us! Blue Juice - back in stock! 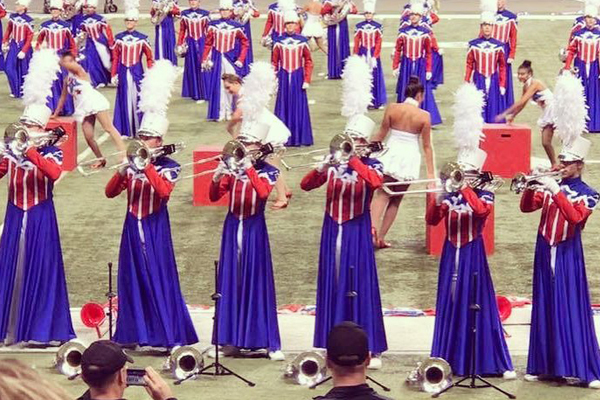 The John Packer brand has a large following in the US, with instruments being used by some of the top high school bands, including the multi award winning Broken Arrows below and Bartlett High School Band above. Since JP instruments were introduced to the states in 2012, the UK market has taken an interest in this scene. Sousaphones have been spotted on stages in the UK for many years; in the folk scene and modern takes on the New Orleans jazz style. With the prolific marching band scene it was only natural that the John Packer brand would look to extend the range into this flourishing market. Currently, we sell John Packer Marching Mellophone, Marching Baritone, Marching Euphonium and the Sousaphone. So if you're want to create an American style band in the UK you can!